I certainly don’t claim to be the worlds biggest fan of tomato ketchup, but I live with people who do like it – and I admit that it has its uses. One small bottle usually lasts quite a long time at the back of our fridge. However I like a challenge so when I came across a recipe for home made Tomato Ketchup I thought I had better give it a try, particularly as I could see exactly what the ingredients were. The finished result was a bit of a revelation. If you are going to keep ketchup in the fridge then this is definitely the type to have. Not that I will be splurging it over all my food from now on, but I will sometimes be using it in cooking (a lovely pork marinade recipe will follow soon) – and it has made my family very happy! Celia at Fig Jam & Lime Cordial first brought this tomato ketchup recipe to my attention. It comes from Pam Corbin who often features in the Channel 4 River Cottage television series and her book Preserves: River Cottage Handbook No 2. 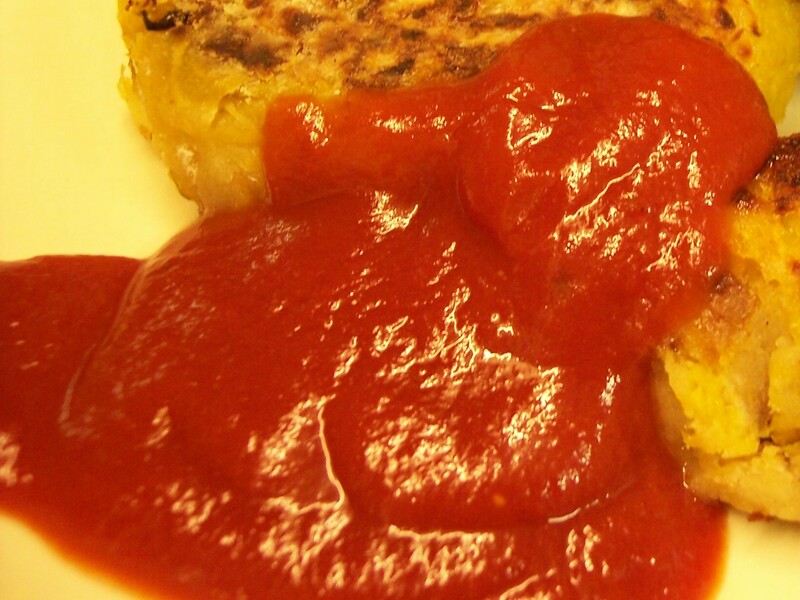 Celia has two versions of Roasted Tomato Ketchup on her site. In the first one you pre-roast and sieve the tomatoes with other ingredients to make home made passata which is then made into ketchup. This is the quick version, which uses shop bought passata. Using commercial passata has its disadvantages as you miss out on the flavours of the onion and garlic which are roasted with the tomatoes, however these can be added if you wish. (Chop and fry a small chopped onion with a crushed clove of garlic in a little olive oil, without browning, before simmering with the passata and mixing with the remaining ingredients. The pieces of of onion and garlic need to be strained from the ketchup before bottling: for a more pronounced flavour liquidise the onion and garlic into the passata before straining.) In its form without the added onion and garlic this is a fairly speedy recipe, taking just 45 minutes from start of cooking to filled bottles. The yield was two 300ml bottles with a little over. The only disadvantage is that the shelf life is fairly short. The finished ketchup must be kept in fridge and used within 4 months. I have discovered that the remainder of a bottle close to its use by date freezes well for later use in marinade type recipes. 1. Put all the ingredients, apart from the sugar, in a heavy based pot. Bring to a gentle simmer. 2. Add the sugar and stir well until dissolved. 3. Continue simmering for 20-30 minutes. If the sauce is removed from the heat too early it can be rather thin so it needs to reduce until it has the usual familiar thick ketchup consistency. It will continue to thicken a little as it cools as well. 4. Wash the bottles well and sterilise. I usually do this by filling the with boiling water and also putting the lids in a bowl of boiling water. I pour away the water just before filling each bottle and immediately take the lid from the bowl and screw it on to seal. 5. Taste the ketchup and adjust the seasoning if needed. 6. Using a sterilised funnel, pour the ketchup into the prepared bottle, screw on the tops. Allow to cool and label. 7. The ketchup must be stored in the fridge. The original recipe states that it will keep for up to four months. Any ketchup close to its use by date can be frozen. I don’t know what your favourite Chinese dish is, but anything containing duck seems to rate very highly in our house. Duck with pancakes is regularly ordered when we visit a Chinese restaurant but I don’t think I would attempt the crispy duck or the special pancakes. Duck with Plum Sauce is just as popular whilst being much less complicated and when I came across this simple recipe I knew it would be well received. The aromatic spiced sharp sweetness of the plum sauce is a perfect contrast for the rich flavour of the simply pan fried and beautifully crispy duck. I first made it last November for my husband’s birthday supper using duck legs and then once again in this March as part of the Chinese banquet I served for mum’s birthday, instead using duck breasts. I know I will be making it again. 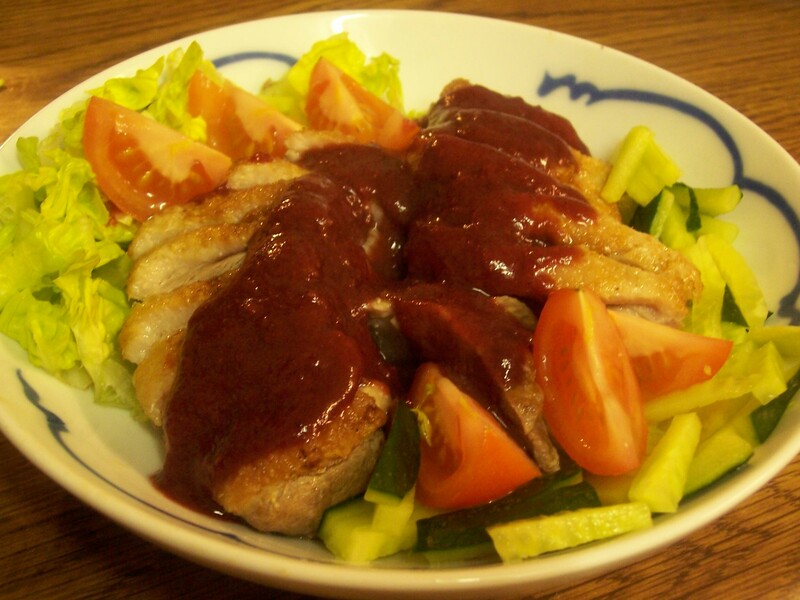 The original recipe for Duck Breasts with Plum Sauce came from the November 2010 issue of the ASDA Free instore magazine. It is a useful dish as the sauce can be made in advance and the duck cooked fairly quickly just before it is needed, initially on the hob before being finished in the oven. The amount of sauce is very generous and is enough for at least 8 people, if not more (though 6-8 if you like a large serving). On both occasions I ended up freezing half of the sauce for later use. I need to remember to halve it on another occasion but meantime I have sauce to use up! The sauce would also be delicious with pork, whether a roast joint, chops or belly strips and also with chicken. It could also be used as a pork marinade in a similar way to that used in the recipe for Aromatic Finger Lickin’ Pork. As one of several dishes, I served this on a bed of shredded lettuce, cucumber sticks and tomato wedges. As a single main dish I would serve it with plain or egg fried rice and a dish of stir fried vegetables. 1. Preheat the oven to 200oC/400oF/Gas 6. 2. Remove the duck from the fridge and pat the skin with kitchen paper to remove any moisture before leaving it at room temperature, uncovered, for 30 minutes. 3. Make shallow, parallel cuts in the duck breast skin, being careful not to slice right through the skin to the meat. 4. Heat the oil in a pan and gently cook the garlic and ginger on a low heat for 1 minute. 5. Add the plums, vinegar, sugar, five-spice, soy sauce and sweet chilli sauce. Cover the pan and gently simmer the sauce for 5 minutes. Remove the lid and simmer the sauce for a further 5-10 minutes to reduce. 6. Liquidise to make a thick smooth sauce and return to the pan to keep warm. 7. Meanwhile, gently heat a large frying pan and cook the duck, skin-side down, on a medium heat, for 5 minutes. Thee skin should become golden brown and start to crisp. 8. Drain off the fat and reserve – it is delicious for roasting potatoes. Turn over the duck and cook on the other side for 1 minute more. 9. Transfer the duck into a roasting tin and place in the pre-heated oven, skin-side up, for 9-15 minutes, depending on how pink you like your duck meat. 10. When cooked, leave the meat to rest for 10 minutes. Then slice and place on a serving dish on a bed of lettuce, cucumber and tomato. Alternatively place unsliced onto a plate and serve with Chinese style rice and stir fried vegetables. 11. The sauce should be reheated to serve with the duck, either poured over or alongside in a small serving jug . However much you enjoy it, a traditional British Sunday lunch of roast meat, vegetables and accompaniments can become a bit predictable. It is good sometimes to ring the changes with a slight twist, especially if that twist is a relatively simple one: essential in our very busy Sunday household. It was the slightly unusual sauce recipe that attracted my attention, which proved easy to adapt. Designed to accompany expensive beef fillet, I cooked it with a different cut of beef, which slowly roasted while we were out at church. As I had thought, it was delicious! The original recipe, Pepper-crusted Fillet of Beef with Roasted Balsamic Onions & Thyme, comes from Delia Smith’s How to Cook, Book 3. 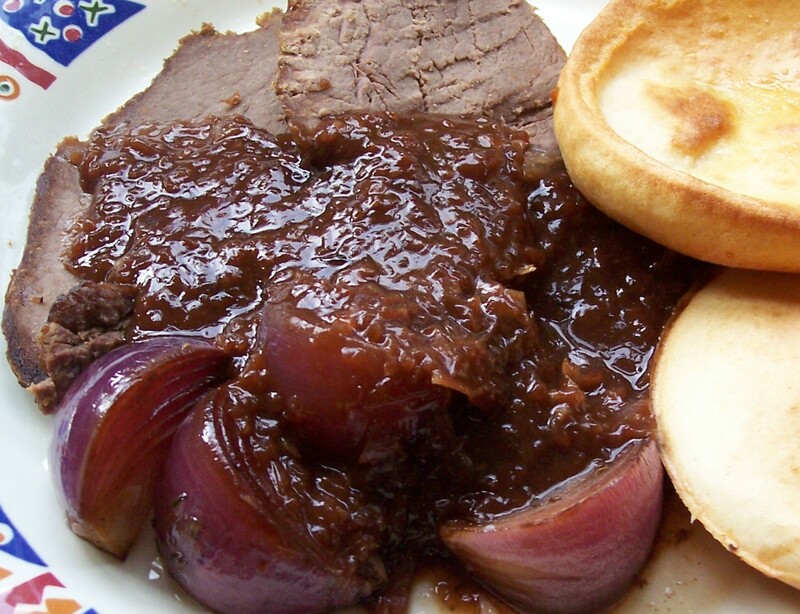 The original recipe was for fillet of beef cooked quickly on the bed of onions which were then made into a sauce. Using a different cut of beef, which needed a slower cooking time, I prepared and cooked it in my usual way. (I usually give a silverside or topside joint a slow cooking for Sunday lunch while we are out for the morning.) Instructions are given below for my version using the cheaper cut of silverside beef (topside beef could be cooked in the same way). If entertaining and using a finer cut of meat it can, of course, be cooked for the shorter time (refer to the recipe via the link above). Delia Smith recommends the onions are added right at the start of the cooking time, however if I had done this with the lengthy cooking they would have been cooked to a crisp and useless, hence my adapted version. I also use my own cornflour based method for making the sauce. Delia suggests the recipe could be accompanied by Potatoes Boulangère with Rosemary. It is difficult though to get away without serving Roast Beef with Yorkshire Puddings plus any usual favourite side dishes and sauces. 1. To allow the flavours to develop start the recipe at least 2 hours before cooking, if possible. Rub the meat with a little butter and grind the peppercorns over the surface of the beef, pressing in well – the more you add the hotter it will be. 3. Preheat the oven 150oC/300oF/Gas 2. 4. Put about 1cm/½inch water in a roasting dish to keep the meat moist. Place the meat on a rack in the dish, cover and cook for about 2 hours or even a little longer. Check that the dish is not going dry when you can (if you are out then look as soon as you return). 5. Remove the roasting tin from the oven, removing the meat and the rack. Raise the oven temperature to 180oC/350oF/Gas 4. 6. Pour off any excess meat juices and fat which can be used either to make gravy (there is usually someone who wants gravy as well as sauce) or to use in other dishes. It is not necessary to wash the roasting tin, unless it has gone dry and burned. 7. Spread the onion mixture out in the base of the roasting tin. Sprinkle over the thyme leaves and season well with salt. Place the beef on top of the onion mixture. Cover, return to the oven and continue cooking for 20 minutes. 8. Remove the beef from the tin and transfer to a warm place to rest. Return the tin with the onions to the oven and cook for another 5-10 minutes. Depending on size of onion, carefully remove two to three whole wedges per diner from the dish and keep warm alongside the meat. Finely chop the remaining onion along with any juices from the pan that the meat has been cooked in. (If needed add some of the meat juice from earlier, but not the fat.) In a small saucepan mix the cornflour with the Worcester Sauce and the balsamic vinegar to make a paste and then gradually add the wine and finally the chopped onion. Bring to the boil until the sauce starts to thicken, stirring constantly to prevent it from becoming lumpy. Turn down the heat and simmer gently until the sauce has reduced by about a quarter. Check and adjust seasoning as required. 9. To serve, carve the beef and stir any extra meat juices into the sauce. Serve garnished with the onions and the sauce poured over, plus whatever accompaniments for roast beef you prefer. This is one of those relatively simple dishes that is ideal if you only want a light meal on a hot summery day, but actually I would be happy to eat at any time of year! Apart from the time taken to marinade the meat and prepare the kebabs, it is quick to cook in a preheated oven. Accompany with a portion of boiled Jasmine Rice, plus salad or some peas served on the side, if you wish. 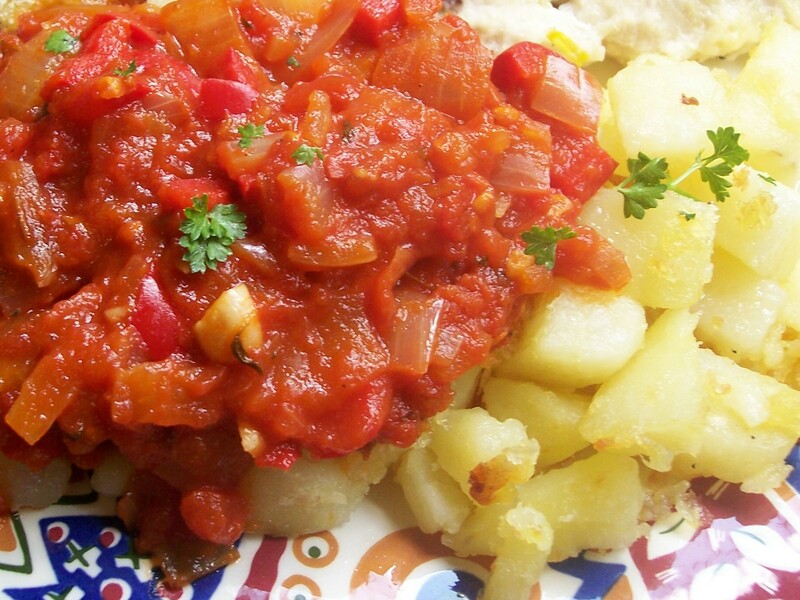 The tomato and chilli sambal is a perfect sauce to accompany to the dish. Yet again this recipe comes from one of my favourite books: Hot & Spicy Cooking: Exciting Ideas for Delicious Meals with recipes by Judith Ferguson, Lalita Ahmed and Carolyn Garner. The finished meat was spicy and fragrant but not especially hot. I used ready made tamarind paste in place of soaking and preparing tamarind pods (although the sourness of lemon juice would give a similar flavour). Now I know we like the recipe I may see if I can find some Indonesian Soy Sauce, Kekap Manis, but the first time I used a combination of dark soy sauce and dark brown sugar. The only other change to the recipe was to thread the marinaded meat alternately with cherry tomatoes, cubes of yellow or orange pepper and green pepper or slices of pre-blanched courgette. 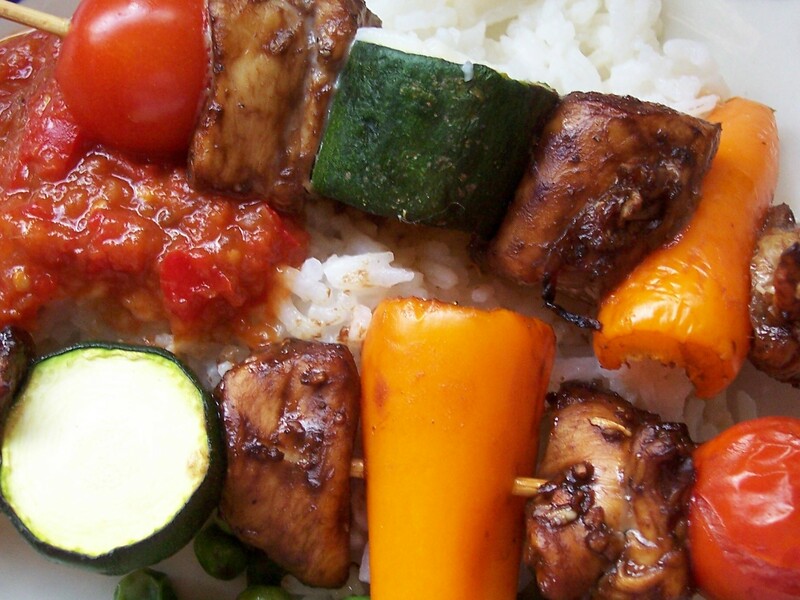 This gave extra colour and a healthier dish: anyway I love grilled vegetables in kebabs. I grilled my skewers of meat but they would be ideal cooked on a barbecue. A piece of meat and one or two small pieces of vegetable combined on a cocktail stick would also make a good starter or buffet dish. 1. Put the pieces of chicken in a large bowl. Mix the marinade ingredients together and pour them over the chicken. Stir well and refrigerate for at least 30 minutes, but longer if possible. 2. Soak the skewers in a bowl of water. This prevents them from burning: especially important if barbecuing. 3. Grind the chillis, ginger and garlic together in a food processor or using a pestle and mortar. Chop the tomatoes coarsely, use the food processor if available and blend them into the chili mixture. 4. Heat the oil in a wok or large frying pan. Fry the tomato mixture for about 5-6 minutes, stirring occasionally to prevent it from sticking. 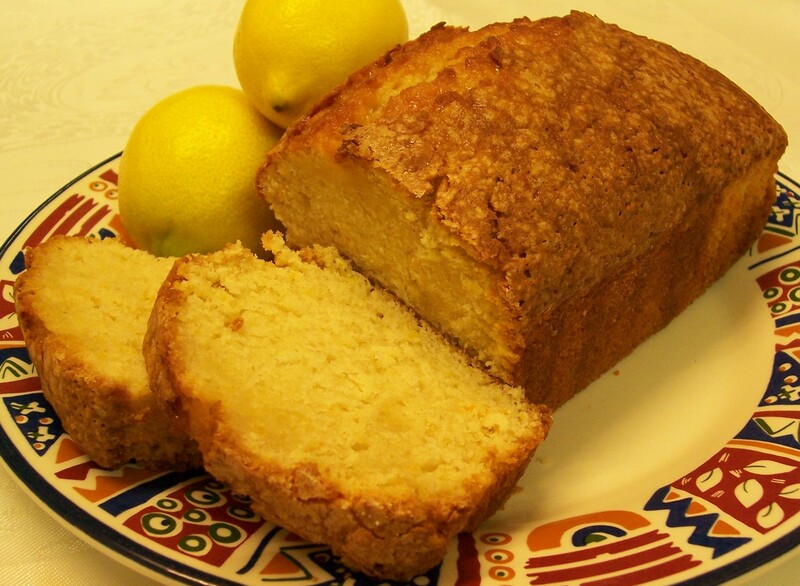 To prevent sticking, add the lemon or lime juice and a spoonful of water, if the sauce starts to become too thick. 5. Stir in the sugar and season to taste. 6. If using vegetables as well as chicken cut each into similarly sized pieces, allowing the same number of pieces for each portion. If using courgette the pieces need to be blanched: pour over boiling water and leave for 5 minutes, before plunging into cold water or cook for 1-2 minutes in a microwave oven. 7. Thread the marinated chicken cubes onto thin wooden skewers. If using vegetables as well then alternate the chicken with the vegetable pieces, using each colour of vegetable in turn. 8. Brush the threaded kebab with any remaining marinade supplemented with a little extra oil if necessary. 9. Preheat the grill and cook the chicken gently, turning frequently, until golden brown. This should take 5-8 minutes. Continue to brush the chicken with the remaining marinade during cooking. 10. Serve with Boiled Jasmine Rice. Peas and salad can be served as an accompaniment but if serving chicken and vegetable skewers a small side salad should suffice. A fruit compote is a mixture of lightly baked or stewed fruit or fruits, usually combined with a sweetener and served either hot or cold as an accompaniment to ice cream, yoghurt, crème fraîche, soured cream, cold or hot rice pudding or similar. 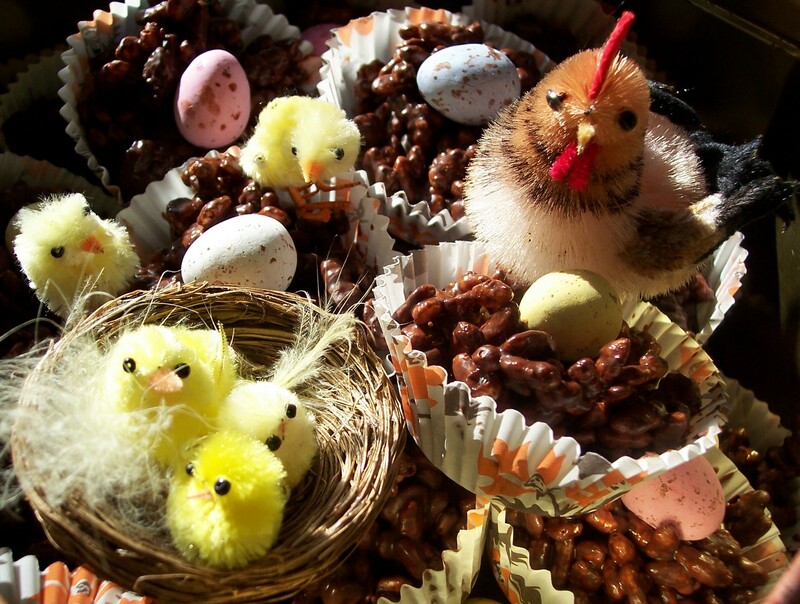 It is also delicious served with a slice of egg custart tart or alongside a fairly plain dessert cake, with a little single cream poured over. When on holiday cold fruit compote is usually available at breakast in French motels: cherry/raspberry or apple are both very popular and there is always yoghurt available to eat. However Compote is a traditional English dessert dating from the 17th century, being whole or pieces of fruit in sugar syrup. The syrup may also be flavoured: vanilla, lemon/orange peel, cinnamon, clove, ground almonds, grated coconut, candied fruit, or raisins are common additions. Honey can be used as an alternative sweetener. I have read and heard in several places recently the benefits of sweetening fruit with fructose (natural fruit sugar). Apparently, using just a third of the quantity of normal sugar (sucrose) really enhances the flavour of fruit. I have not tried this myself but it is certainly something to bear in mind and I have just bought a small packet. I would be interested to hear of any readers experiences on using fructose in place of sucrose – I am not talking about aspartame, a sugar substitute which is banned in some countries. This idea was found at two sources, but is my own variation: a mixture of an idea from a recipe by Claire Macdonald on the UKTV site, Lemon Cream with Rhubarb & Orange Compote and a recent free recipe card, Super Sticky Rhubarb, found in Sainsbury’s supermarket. 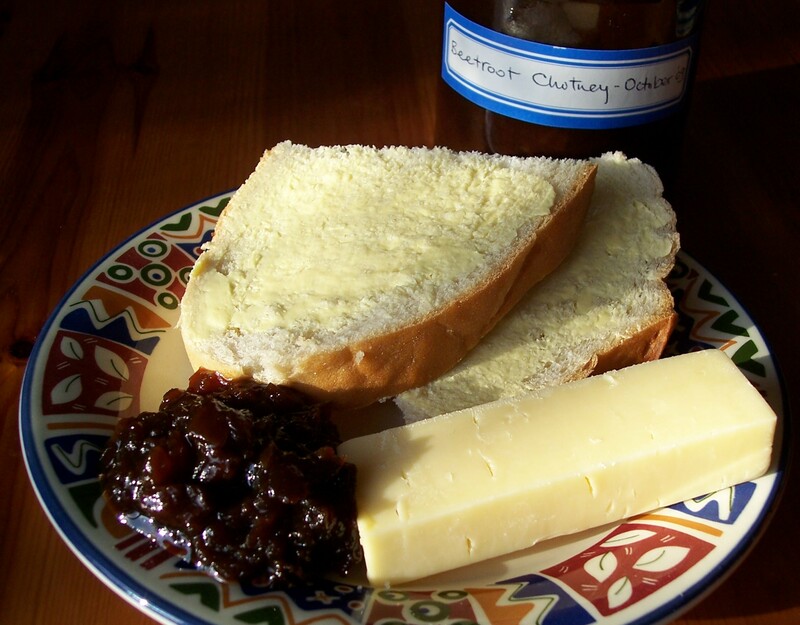 Compote can be kept in a sealed box in the fridge for up to four days, so it is worth making a double quantity. I have already added posts on this site for similar fruit mixtures: Marmalade & Ginger Baked Bananas and Lemony Baked Pears & Peaches. Other variations will be added below. These compote recipes can be used to make variations on the simple, creamy & delicious summer dessert Eton Mess. Slightly strain the compote so that it is not too liquid and alternate spoonfuls of the compote with the cream mixture and meringue pieces, stirring very gently if needed and decorating with a few small pieces of whole fruits and meringue (see Eton Mess recipe for further details). Any compote liquid not used can be combined with yoghurt to make a smoothie, slightly diluted to taste with water (or milk if the fruits used will not cause it to curdle) for a delicious quick drink or simply used to add sweetness to a fruit salad. 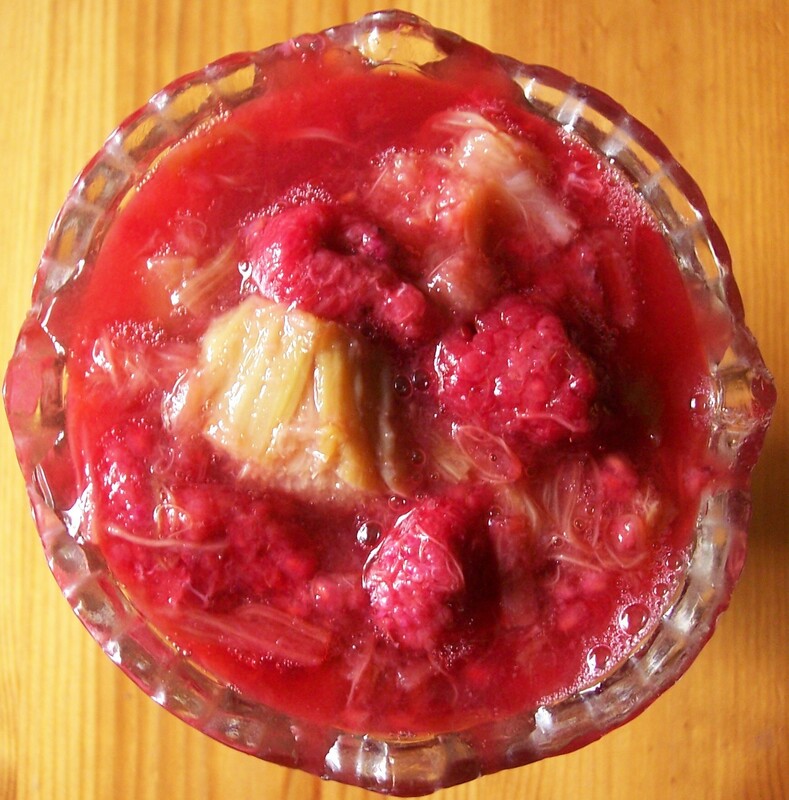 Rhubarb and Raspberry (see below) is very popular in our house and recently we have enjoyed this when mixed with rosewater or drizzled with a little rose syrup as well. 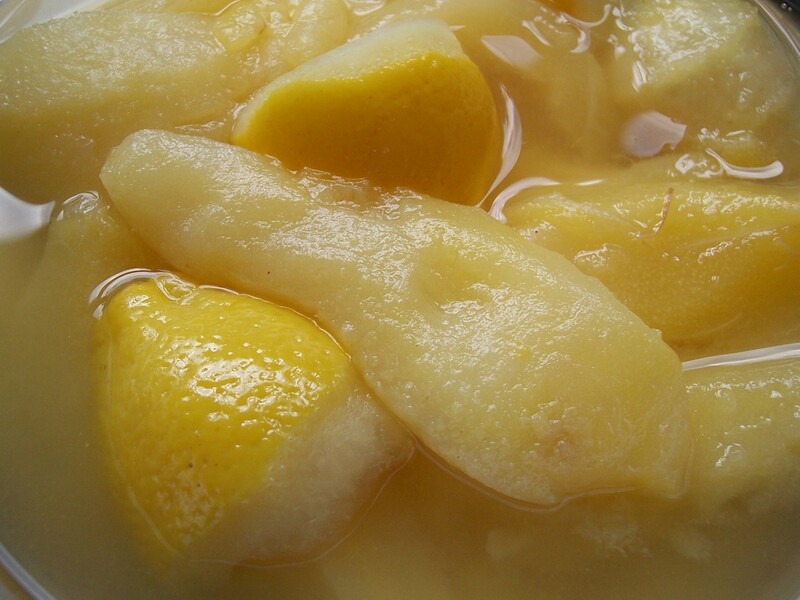 Pear Compote with Lemon, Honey and Ginger (for those who like it) may possibly be reminiscent of cough mixture to some and is definitely a warming winter mixture, but we enjoy it at any time of year. For an extra treat, pour a small amount of a complementary alcoholic fruit liqueur over these compotes just before serving! 2. Combine the ingredients in an ovenproof dish. 3. 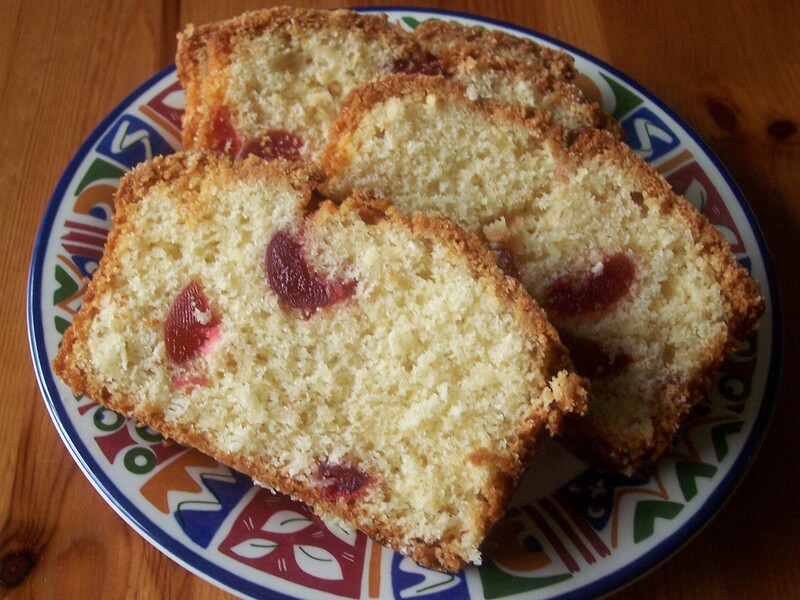 Bake for 30-40 minutes, until the fruit is tender but still identifiable. 4. Serve warm or cold. 1. Combine the ingredients in an microwave proof dish. 2. Cook on a low heat, for 10-15minutes or until the fruit is tender but still identifiable. 1. Combine the ingredients in an saucepan. 2. Bring to the boil and immediately turn down the heat. Simmer very gently for about 30 minutes, or until the fruit is tender but still identifiable. Gently stew the chunks of rhubarb in the sugar until soft but still holding its shape. If using frozen raspberries add while still warm. Fresh rasperries can be added when cold. Chill in fridge until needed. Overstirring raspberries can make them break up. Peel pears and cut lengthwise into 8-12 long pieces depending on size of pear (or smaller chunks). Place in a small saucepan. Cut lemon into quarters. Immediately squeeze juice over pears pieces before they go brown. Add empty lemon shells to pan and stew with pear to add flavour. Drizzle honey over fruit. Sprinkle over ginger if using. Poach over low heat for 10-15 minutes, or until pears are soft. Tomato sauce is simple and versatile: delicious as a base for a pasta sauce or served alongside sausages or chops. This recipe will serve 3-4 people as a sauce or can be used as a topping for three pizzas. It can be frozen in pizza size topping portions for later use. You can add a chilli with the onion for a more spicy flavour. The recipe comes (slightly adapted) from my favourite pizza book: Step-by-step Pizzas by Wendy Lee. 2. Chop the tomatoes and add them to the pan with the tomato purée, sugar, oregano, bay leaf and seasoning. Stir well. 3. Bring to the boil and cover. For Sauce to accompany Pasta or Meat: simmer gently for 5-10minutes until desired thickness (pouring or spooning) adding a little water if necessary. For Pizza topping: simmer gently for 20minutes, stirring occasionally until the sauce is fairly thick. 4. Remove the bay leaf and season to taste. Leave to cool completely before using. If you are making just one pizza the remaining two portions will keep in the fridge for up to a week but should be date labelled and frozen if you wish to keep them longer.